These big Asian festivals may vary from place to place, but all share something in common: they're often big, chaotic, and extremely memorable! With so many different cultures, religions, and reasons to celebrate spread across Asia, you'll probably be close to an interesting festival no matter where you travel. That's a mixed blessing. Arriving in time to enjoy the festivities will make a great memory. But arriving in the middle of a massive festival when hotels are full and transportation is shut down will be something you'd rather forget. Note: Many Asian festivals are based on lunisolar calendars, so the dates change from year to year. Thailand knows how to celebrate. You'll never forget your first Songkran or Loi Krathong — guaranteed! Chinese New Year is one of the most widely celebrated festivals in the world. The first few days of the 15-day festival will certainly have an impact on all destinations in Asia. Many Chinese families travel to tourist destinations in Southeast Asia during this time. Expect accommodation to be pricier than usual; transportation often fills up. The reward is worth the effort! Where: All major destinations in Asia, but especially Bangkok, Kuala Lumpur, Singapore, Penang, and other places with large ethnic-Chinese communities. There is no reason to avoid travel during the Islamic holy month. In fact, you'll get to enjoy special foods, markets, and festivals in the evenings. Eid al-Fitr — Hari Raya Puasa in Bahasa-speaking countries — is particularly festive as Muslims break their fast. When: Dates change yearly based on the sighting of the crescent moon in the ninth month of the Islamic calendar. Where: Any country with a large Muslim population. Ramadan is widely observed in India, Malaysia, Indonesia, Brunei, and others. Also known as the Mooncake Festival or Mid-Autumn Festival, the Chinese Moon Festival is a happy time when friends, family, and lovers share reunions, spend time together, and exchange mooncakes. Chinese mooncakes are small, round cakes with different fillings; some can be surprisingly heavy, and the ones made from exotic ingredients are expensive! Where: Anyplace with a large Chinese population including Singapore and other major Asian cities. One of Southeast Asia's largest music festivals, the Rainforest World Music Festival, is held each summer just outside of Kuching, the capital of Sarawak in Borneo. As if a large, international lineup of bands wasn't enough, the setting includes coastline and rainforest; plus, the three-day festival is filled with cultural demonstrations and workshops from the indigenous Dayak groups. Flights from Kuala Lumpur to Kuching are very affordable, but only if you book in advance of the festival! 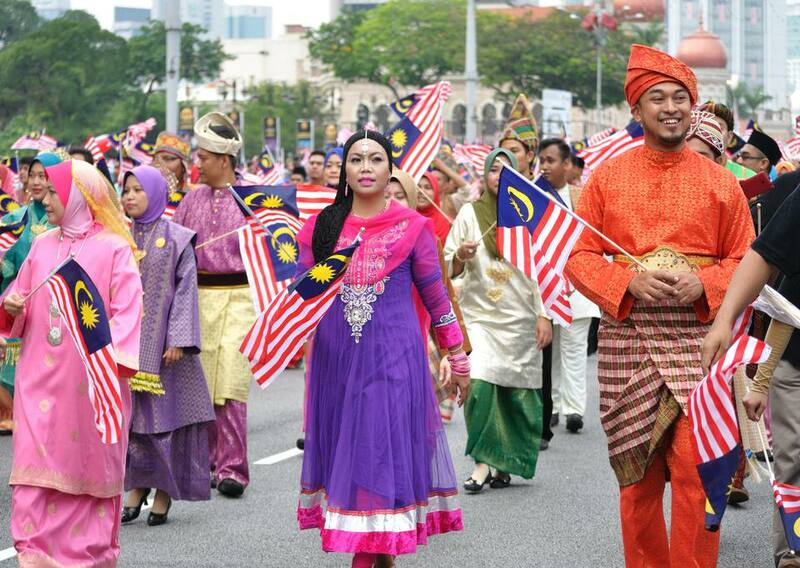 Hari Merdeka translates to "Independence Day" and can refer to the independence celebrations in either Malaysia or Indonesia. Both countries celebrate independence from colonial rule with parades, fireworks, and demonstrations. Public transportation is greatly affected during the festivals. Setsubun is celebrated during Japan's Haru Matsuri (Spring Festival) to welcome the beginning of spring. Participants throw soybeans to frighten away evil spirits that could threaten health in the new lunar year. Shrines are particularly busy during this time. Although Setsubun is not an official national holiday, the event has evolved to include sumo wrestlers, celebrities, and gatherings where candy and envelopes with money are thrown into frenzied crowds! Setsubun is certainly one of the more peculiar, and fun, Japanese festivals. The Hungry Ghosts Festival is a Taoist holiday celebrated by Chinese communities throughout Asia. Offerings of food are given to ancestors along with "gifts" represented by paper notes and fake money. Each note can represent new TVs, cars, household items, or other gifts that the ancestors may enjoy in the afterlife. The notes are thrown in the air and burned. Starting new undertakings and traveling during the Hungry Ghosts period is considered unlucky. National Day in China began as a patriotic holiday in 1949. Tens of thousands of people from all parts of China cram into Beijing to enjoy Tiananmen Square and other national landmarks. National Day is definitely the busiest time to be in Beijing; the subway system and public transportation get filled beyond capacity. Popular sites and attractions such as the Great Wall and Forbidden City will have lengthy waits — plan accordingly! You'll Be Sorry You Missed These Big Summer Festivals in Asia!